Today is the first layout that has been posted to P K Glitz's Blog. I am excited! 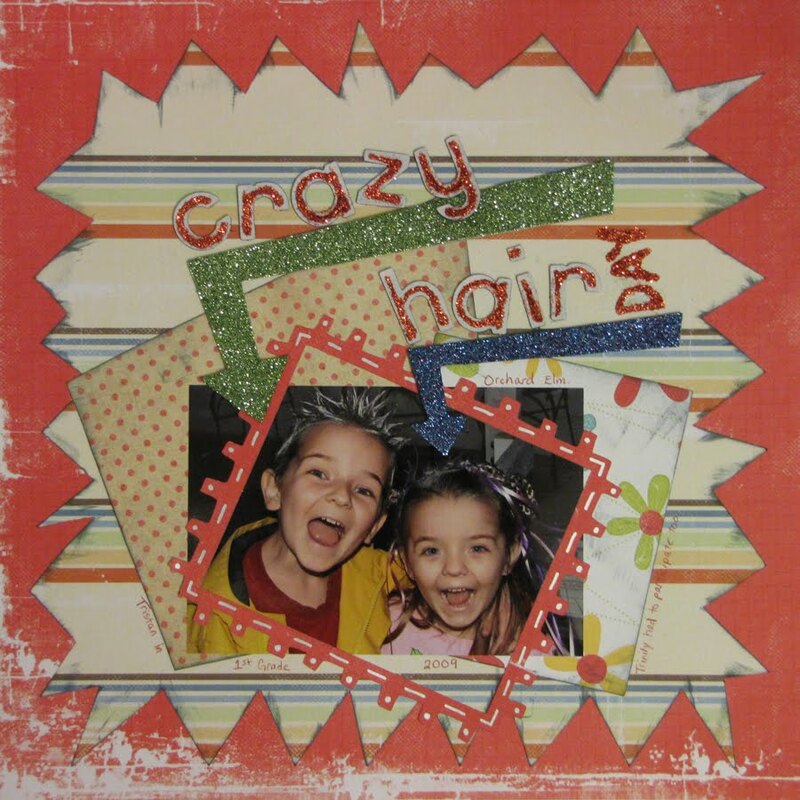 "Crazy Hair Day" is featured here on the P K Glitz Blog today! For a closeup and some details go check out the links above. Thanks so much for looking. I hope you all have a wonderful day! This is so adorable Grace!!! I am off to check out the site!!! Congrats!!! This is sooo adorable! What a wonderful Layout!